1. Podcast created by Gordon Institute of Business Science with Bruce Whitfield. The current South African context presents young people with unique challenges. Career? Sorted! equips readers to achieve success in the world of work. 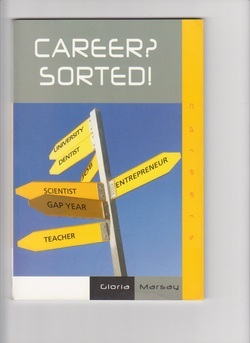 It is a simple and appealing handbook about choosing career direction. Part One explores the dynamic world of work, suggesting a fresh approach to finding and developing a career. Part Two explores the different options available to young people in today's world of work. Part Three equips the reader with indispensable tools to navigate their way towards finding work which is fulfilling.